To Cite: Mirzashahi B, Dehghani Firoozabadi M J, Vahar M, Yaseen Khan F M. Diffuse Idiopathic Skeletal Hyperostosis Coexisting with Ossification of Posterior Longitudinal Ligament Causing Dysphagia: A Case Report and Literature Review, J Orthop Spine Trauma. 2017 ; 3(4):e69347. doi: 10.5812/jost.69347. Diffuse idiopathic skeletal hyperostosis (DISH) is a systemic disease that is mostly reported in the spinal column with or without extraspinal involvement. DISH is often asymptomatic, but in case of progressive symptoms such as dysphagia, surgery may be required. Not only coexistence of DISH and ossification of posterior longitudinal ligament (OPLL) is uncommon, but also dysphagia as a presenting symptom in these patients is quite rare. To our knowledge, there are merely few such cases have been reported in the literature. In this study, we present the case of a 30-year-old man with the chief compliant of progressive dysphagia. After evaluation, diagnoses of DISH and OPLL were established, due to poor response to conservative treatment, the patient was managed surgically and favorable results were achieved. Copyright © 2018, Journal of Orthopedic and Spine Trauma. This is an open-access article distributed under the terms of the Creative Commons Attribution-NonCommercial 4.0 International License (http://creativecommons.org/licenses/by-nc/4.0/) which permits copy and redistribute the material just in noncommercial usages, provided the original work is properly cited. Diffuse idiopathic skeletal hyperostosis (DISH) is a systemic condition, which is associated with progressive ossification in enthuses. It was first described in 1950 by Frestier and Rotes-Querol in terms of ankylosing hyperostosis (1). Prolific characteristic of this disease is ossification in anterior longitudinal ligament (ALL), especially in the thoracic spine and the extraspinal region, frequently in the form of peripheral joint involvement (2). DISH is often asymptomatic and patients often do not require treatment (3). DISH may create a metabolic disorder and coexist with cardiovascular diseases (4). Ossification of posterior longitudinal ligament (OPLL) is a different kind of ossification, which is seen particularly in the cervical spine and can cause radiculopathy and myelopathy. In some patients, DISH is accompanied with OPLL. This condition has been reported in a small number of studies (5-8). Here, we present a case of DISH and OPLL who presented with progressive dysphagia. A 30-year-old male patient presented to our clinic with the complaint of mild neck pain and dysphagia since one year ago with symptoms exacerbation since two months before. There was no history of systemic diseases, weight loss or trauma. Physical and neurologic examinations were normal and there were no abnormal findings. No lymphadenopathy or mass was reported. Range of motion (ROM) of the neck and other peripheral joints was normal. Body mass index (BMI) was 31. All laboratory investigations were within normal limits. Due to dysphagia, barium swallow test had been performed before he was referred to our clinic, and significant narrowing of the esophagus in the neck was detected. X-ray showed large ossification and osteophyte in the anterior of vertebrae c5 to c7 (Figure 1). In computed tomography (CT) scan, non-bridging ossification with a thickness of about 1 cm in the anterolateral aspect of vertebrae c5 to c7 was detected (Figure 2). OPLL without compression of the neural element was discovered, which is visible on magnetic resonance imaging (MRI; Figure 3). Figure 3. Magnetic resonance imaging shows the ossification of the posterior longitudinal ligament, without compression of neural elements (arrow). Owing to progressive dysphagia and poor response to conservative treatment, surgical resection of the anterior osteophyte via anterior approach was performed (Figure 4). Figure 4. Post-operative anterior-posterior and lateral neck X-ray showing that osteophytes were completely removed. On follow-up, dysphagia was completely relieved within two weeks after the surgery. We did not operate for OPLL as the patient showed no signs of myelopathy or canal compression leading to neurogenic impairment. DISH refers to a systemic condition that it is characterized by progressive ossification of entheses. Mostly hyper-ossification is reported at site of skeletal attachment of tendons and ligaments and in joint capsules (1, 9). These hyper-ossifications commonly involve the spinal column and the extraspinal region. Extraspinal involvement is usually observed in peripheral joints and structures such as tendons and ligaments around joint capsule, and it is considered as the differential diagnosis with osteoarthritis (OA) (3, 10-13). DISH is more commonly seen in the cervical and thoracic spine (76% of cases), which is mostly asymptomatic, although sometimes it causes backache and stiffness (14, 15). DISH is mostly reported in the thoracic spine, which might be due to more rigidity of the thoracic spine than the lumbar and cervical spine (16). It can cause symptoms such as dysphagia and airflow obstruction, and due to ankyloses of the spinal column, there is increased risk of fracture (14, 15). Different mechanisms are listed for dysphagia in DISH including: (1) Mechanical obstruction with massive osteophyte, (2) compression of anchored esophageal with a smaller osteophyte, (3) inflammation, (4) spasm-related pain and (5) nerve damage (recurrent laryngeal nerve) (17). DISH often occurs in advanced ages (especially over 50 years) and mostly in men than women (18). In previous studies, the average age of patients with dysphagia and airway obstruction associated with DISH was 69 years, and in 1% of cases, onset of illness was at the ages less than 45 years (14). Our patient was 30 years old. The mechanism of the DISH is still unclear. Several factors have been proposed as relative risk factors, including diet (diets high in protein and rich in fat), metabolic syndrome, cardiovascular diseases and environmental factors. Genetic factors can also be at play in the development of DISH. The most contributing genetic factor in DISH is CO^LA1 gene that encodes alpha chains of type of VI. This gene is also considered an influencing factor for OPLL (14, 16). DISH is probably related to the growth of abnormal bone cells exaggerated by metabolic factors that lead to new bone formation (14). Serum matrix Gla protein is a marker of metabolic syndrome, which causes hyper-ossification (19). Histologically, the findings suggest an inflammatory response for enhanced bone tissue regeneration in this condition, if so, nonspecific inflammation can play an important role in the etiology of DISH. Normally, DISH is a non-inflammatory disease compared with ankylosing spondylitis (AS; as the most important differential diagnosis), which is an inflammatory disease of the spine (14). Radiological finding of DISH in the spine is the presence of hyper-ossification in the vertebral cortex (14). 1- Julkunens criteria: A bony bridge between at least two vertebral bodies and involvement in at least one other point of the spine (20). 2- Resnick and Niwayama criteria: Involvement of four vertebral bodies to form continuous ossification and the lack of involvement in the intervertebral disc space (21). 3- Utsinger criteria: Ossification of more than three vertebrae with extraspinal involvement (22). In the presented case, hyper-ossification was noted in the anterior of vertebrae C5 - C7, but no extraspinal involvement was observed. Our patient was much younger than the normal age presentation of this disease, less than 1% of cases are reported below the age of 45 and most of them are asymptomatic. Thus, presentation of DISH at such a young age and combined with such severe symptoms as dysphagia that did not respond to conservative management makes it a rare case. In a study by Tauchi et al. published in 2016, 16% of patients with DISH were reported to have OPLL and its associated symptoms such as myeloradiculopathy (2). Coexistence of OPLL and DISH and presentation of symptoms such as dysphagia is reported in less than 15% of patients (23, 24). Also, diabetes is accepted as a risk factor for OPLL and DISH and in other cases where both can co-exist (25, 26). DISH with ossification in the anterolateral aspect of vertebral bodies can cause either dysphagia or airway obstruction, but OPLL can cause myeloradiculopathy (in both cases symptoms occur due to large osteophytes). In our case, dysphagia was the chief compliant of the patient because of large osteophytes in front of the cervical spine, but there were no signs of myeloradiculopathy symptoms from OPLL. Therefore, surgical treatment in our case included osteotomy and removal of the osseous area in front of vertebrae. OPLL was not operated as our patient was free of myelopathy and showed no symptoms of canal stenosis. Diagnosis of DISH due to its nature, that is, bone formation in abnormal locations (tendonitis and joint capsule) is not too difficult and it can be easily detected by using X-ray. The important point is its difference with AS, which is known as an inflammatory disease of the spine, and unlike DISH, occurs with sacroiliac join and epiphyseal joint destruction. In DISH, pathology is osseous, while in AS, it is annulus fibrosis. HLA-B 27 is usually positive in AS. Another important point is that DISH affects the middle-aged population, while patients with AS are younger (16, 17). All the factors listed above can help to differentiate DISH from AS because both DISH and AS are the most common causes of interosseous osteophytes that are ankylosing in nature (27). DISH is asymptomatic and often has a slow progression and does not require surgical intervention (28). In neck osteoarthritis, disease manifestations are stenosis and disc height loss. Conservative management in the early stages of DISH is diet modification (control dibetes and hyperlipidemia), weight loss, physical therapy and medication, including nonsteroidal anti-inflammatory drugs (NSAID, in case of spasm) and corticosteroids (29-31). However, in case of lack of response to treatment, progressive dysphagia, airway obstruction, or presentation of symptoms of spinal stenosis, surgery is necessary (32). Although surgery with complete removal of osteocytes involved can increase motion in the spine, re-growth of osteocytes and ankyloses might happen (33). Therefore, surgery is not always the preferred option in such cases. DISH refers to a condition that is often asymptomatic and can be accidentally discovered on X-rays. The mechanism of the disease and its causes remain nebulous and there are much controversies involved. However, treatment of DISH depends on the severity of symptoms. Treatment varies from conservative treatment to surgical intervention based on patient’s preferences. Importantly, AS and osteoarthritis must be ruled out in such cases. DISH is mostly associated with dysphagia in the elderly, but treatment, other causes such as tumors, esophagitis, and shortness must be ruled out. Surgical resection of osteophytes causing dysphagia in DISH seems to be a reasonable treatment with remarkable outcomes. 1. Forestier J, Rotes-Querol J. Senile ankylosing hyperostosis of the spine. Ann Rheum Dis. 1950;9(4):321-30. [PubMed: 14800245]. [PubMed Central: PMC1011670]. 2. Tauchi R, Lee SH, Peters C, Imagama S, Ishiguro N, Riew KD. Cervical myeloradiculopathy due to ossification of the posterior longitudinal ligament with versus without diffuse idiopathic spinal hyperostosis. Global Spine J. 2016;6(4):350-6. doi: 10.1055/s-0035-1563722. [PubMed: 27190737]. [PubMed Central: PMC4868586]. 3. Beyeler C, Schlapbach P, Gerber NJ, Fahrer H, Hasler F, van der Linden SM, et al. Diffuse idiopathic skeletal hyperostosis (DISH) of the elbow: A cause of elbow pain? A controlled study. Br J Rheumatol. 1992;31(5):319-23. [PubMed: 1581773]. 4. Mader R, Novofestovski I, Adawi M, Lavi I. Metabolic syndrome and cardiovascular risk in patients with diffuse idiopathic skeletal hyperostosis. Semin Arthritis Rheum. 2009;38(5):361-5. doi: 10.1016/j.semarthrit.2008.01.010. [PubMed: 18304611]. 5. Chacko AG, Daniel RT. Multilevel cervical oblique corpectomy in the treatment of ossified posterior longitudinal ligament in the presence of ossified anterior longitudinal ligament. Spine (Phila Pa 1976). 2007;32(20):E575-80. doi: 10.1097/BRS.0b013e31814b84fe. [PubMed: 17873798]. 6. Epstein NE. 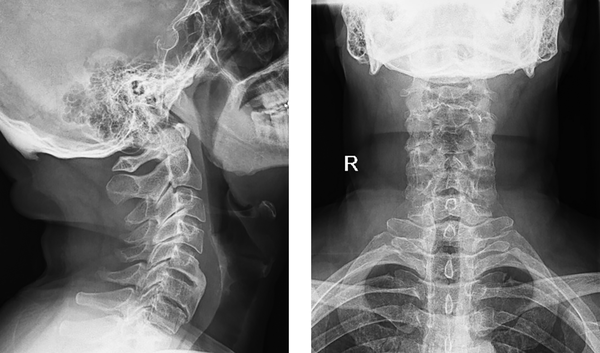 Simultaneous cervical diffuse idiopathic skeletal hyperostosis and ossification of the posterior longitudinal ligament resulting in dysphagia or myelopathy in two geriatric North Americans. Surg Neurol. 2000;53(5):427-31. discussion 431. [PubMed: 10874140]. 7. Griffiths ID, Fitzjohn TP. Cervical myelopathy, ossification of the posterior longitudinal ligament, and diffuse idiopathic skeletal hyperostosis: Problems in investigation. Ann Rheum Dis. 1987;46(2):166-8. [PubMed: 3103553]. [PubMed Central: PMC1002086]. 8. Resnick D, Guerra J, Robinson CA, Vint VC. Association of diffuse idiopathic skeletal hyperostosis (DISH) and calcification and ossification of the posterior longitudinal ligament. AJR Am J Roentgenol. 1978;131(6):1049-53. doi: 10.2214/ajr.131.6.1049. [PubMed: 104572]. 9. Mazieres B. Diffuse idiopathic skeletal hyperostosis (forestier-rotes-querol disease): What's new? Joint Bone Spine. 2013;80(5):466-70. doi: 10.1016/j.jbspin.2013.02.011. [PubMed: 23566663]. 10. Littlejohn GO, Urowitz MB, Smythe HA, Keystone EC. Radiographic features of the hand in diffuse idiopathic skeletal hyperostosis (DISH): Comparison with normal subjects and acromegalic patients. Radiology. 1981;140(3):623-9. doi: 10.1148/radiology.140.3.7280223. [PubMed: 7280223]. 11. Beyeler C, Schlapbach P, Gerber NJ, Sturzenegger J, Fahrer H, van der Linden S, et al. Diffuse idiopathic skeletal hyperostosis (DISH) of the shoulder: A cause of shoulder pain? Br J Rheumatol. 1990;29(5):349-53. [PubMed: 2224403]. 12. Utsinger PD, Resnick D, Shapiro R. Diffuse skeletal abnormalities in forestier disease. Arch Intern Med. 1976;136(7):763-8. doi: 10.1001/archinte.1976.03630070011006. [PubMed: 938166]. 13. Schlapbach P, Beyeler C, Gerber NJ, van der Linden S, Burgi U, Fuchs WA, et al. The prevalence of palpable finger joint nodules in diffuse idiopathic skeletal hyperostosis (DISH). A controlled study. Br J Rheumatol. 1992;31(8):531-4. [PubMed: 1643450]. 14. Verlaan JJ, Boswijk PF, de Ru JA, Dhert WJ, Oner FC. 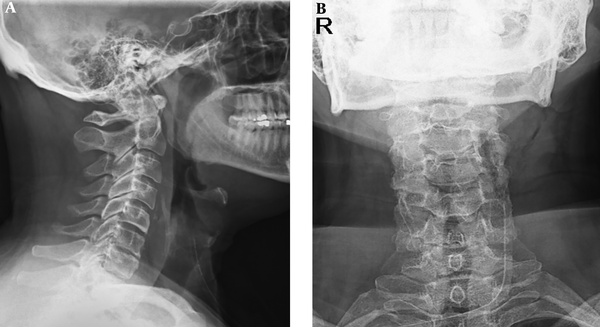 Diffuse idiopathic skeletal hyperostosis of the cervical spine: An underestimated cause of dysphagia and airway obstruction. Spine J. 2011;11(11):1058-67. doi: 10.1016/j.spinee.2011.09.014. [PubMed: 22015236]. 15. Naik B, Lobato EB, Sulek CA. Dysphagia, obstructive sleep apnea, and difficult fiberoptic intubation secondary to diffuse idiopathic skeletal hyperostosis. Anesthesiology. 2004;100(5):1311-2. [PubMed: 15114233]. 16. Kiss C. Prevalence of diffuse idiopathic skeletal hyperostosis in Budapest, Hungary. Rheumatology. 2002;41(11):1335-6. doi: 10.1093/rheumatology/41.11.1335. 17. Bacigaluppi S, Merciadri P, Secci F, Bragazzi NL, Zona G. An unusual cause of dysphagia: "DISHphagia". Br J Neurosurg. 2015;29(2):275-6. doi: 10.3109/02688697.2014.977777. [PubMed: 25394498]. 18. Weinfeld RM, Olson PN, Maki DD, Griffiths HJ. The prevalence of diffuse idiopathic skeletal hyperostosis (DISH) in two large American midwest metropolitan hospital populations. Skeletal Radiol. 1997;26(4):222-5. [PubMed: 9151370]. 19. Sarzi-Puttini P, Atzeni F. New developments in our understanding of DISH (diffuse idiopathic skeletal hyperostosis). Curr Opin Rheumatol. 2004;16(3):287-92. [PubMed: 15103260]. 20. Julkunen H, Heinonen OP, Knekt P, Maatela J. The epidemiology of hyperostosis of the spine together with its symptoms and related mortality in a general population. Scand J Rheumatol. 1975;4(1):23-7. [PubMed: 1153976]. 21. Resnick D, Niwayama G. Diffuse idiopathic skeletal hyperostosis (DISH): Ankylosing hyperostosis of forestier and rotes-querol. Diagnosis of bone and joint disorders. 2nd ed. Philadelphia, PA: WB Saunders; 1988. 1563–1615 p.
22. Utsinger PD. Diffuse idiopathic skeletal hyperostosis. Clin Rheum Dis. 1985;11(2):325-51. [PubMed: 3899489]. 23. Ehara S, Shimamura T, Nakamura R, Yamazaki K. Paravertebral ligamentous ossification: DISH, OPLL and OLF. Eur J Radiol. 1998;27(3):196-205. doi: 10.1016/S0720-048X(97)00164-2. [PubMed: 9717635]. 24. Wiberg C, Klatt AR, Wagener R, Paulsson M, Bateman JF, Heinegard D, et al. Complexes of matrilin-1 and biglycan or decorin connect collagen VI microfibrils to both collagen II and aggrecan. J Biol Chem. 2003;278(39):37698-704. doi: 10.1074/jbc.M304638200. [PubMed: 12840020]. 25. Denko CW, Malemud CJ. Body mass index and blood glucose: Correlations with serum insulin, growth hormone, and insulin-like growth factor-1 levels in patients with diffuse idiopathic skeletal hyperostosis (DISH). Rheumatol Int. 2006;26(4):292-7. doi: 10.1007/s00296-005-0588-8. [PubMed: 15703952]. 26. Kiss C, Szilagyi M, Paksy A, Poor G. Risk factors for diffuse idiopathic skeletal hyperostosis: A case-control study. Rheumatology (Oxford). 2002;41(1):27-30. [PubMed: 11792876]. 27. De Jesus-Monge WE, Cruz-Cuevas EI. Dysphagia and lung aspiration secondary to anterior cervical osteophytes: A case report and review of the literature. Ethn Dis. 2008;18(2 Suppl 2):S2-137-40. [PubMed: 18646336]. [PubMed Central: PMC2739873]. 28. Ohki M. Dysphagia due to diffuse idiopathic skeletal hyperostosis. Case Rep Otolaryngol. 2012;2012:123825. doi: 10.1155/2012/123825. [PubMed: 22953098]. [PubMed Central: PMC3420730]. 29. Laus M, Malaguti MC, Alfonso C, Ferrari D, Zappoli FA, Giunti A. Dysphagia due to cervical osteophytosis. Chir Organi Mov. 1995;80(3):263-71. [PubMed: 8681676]. 30. Ozgocmen S, Kiris A, Kocakoc E, Ardicoglu O. Osteophyte-induced dysphagia: Report of three cases. Joint Bone Spine. 2002;69(2):226-9. [PubMed: 12027318]. 31. Pereira FO, Romero FR, Azevedo Junior KC, Lombardi IA, Ribeiro PW, Gabarra RC, et al. Forestier's disease: A cause of dysphagia to recall. Einstein (Sao Paulo). 2014;12(3):380-1. [PubMed: 25167338]. [PubMed Central: PMC4872955]. 32. Westerveld LA, Verlaan JJ, Oner FC. Spinal fractures in patients with ankylosing spinal disorders: A systematic review of the literature on treatment, neurological status and complications. Eur Spine J. 2009;18(2):145-56. doi: 10.1007/s00586-008-0764-0. [PubMed: 18791749]. [PubMed Central: PMC2899332]. 33. Miyamoto K, Sugiyama S, Hosoe H, Iinuma N, Suzuki Y, Shimizu K. Postsurgical recurrence of osteophytes causing dysphagia in patients with diffuse idiopathic skeletal hyperostosis. Eur Spine J. 2009;18(11):1652-8. doi: 10.1007/s00586-009-1133-3. [PubMed: 19714374]. [PubMed Central: PMC2899398].